They are open to women in the South Greenwich area, who are registered or will register at Alderwood, Storkway, Eltham, Shooter’s Hill, Greenacres & Vista Fields Children’s Centres or who attend midwifery clinics at any of these centres. 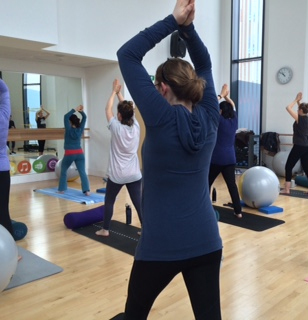 Call 0208 850 5927 to book your place each week These very low cost classes are open to any woman from 16 weeks onwards & will offer a range of yoga practices , which help to promote strength & flexibility, address some of the common ailments of pregnancy & equip you with ways of helping to relax both in pregnancy & labour. These are on Saturday mornings 10:15-11:15. Just turn up and pay at reception. Paid time off for pregnancy yoga! You are entitled to paid time off to attend ‘ante natal classes’, if your midwife or doctor have recommended them to you. 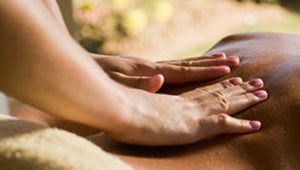 Each session always ends with deep relaxation practices, enabling you to unravel and dissolve any knots of mental, emotional and physical tension. It also gives you the opportunity to bond with your unborn child – particularly important if you don’t get much opportunity for this in your day to day life. Pregnancy yoga is an ideal way of enhancing pregnancy by strengthening, toning and preparing muscles particularly those which are used during labour. Each course teaches techniques which help with pregnancy ailments. Deep relaxation and breathing techniques are central themes of her approach and time is given to strengthen the connection between mother & child. A range of techniques is taught to enable women to enter into labour with less fear and more confidence in how to manage this singular event in life. Pelvises are like a set of fingerprints! Although similar in many ways they are also unique to each individual. By familiarising yourself with the shape of your own pelvis, choices can be made regarding which positions and movements you use throughout labour & birth that work with your unique structure. Thus optimising the space available to birth your baby. The positions you use throughout the day and night in the last trimester can also encourage or discourage your baby into the optimal fetal position. Alignment matters! 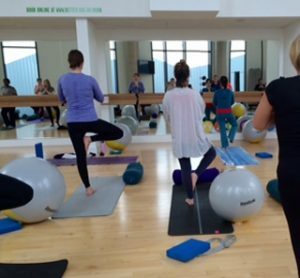 Bernadette offers 2-hr workshops which explore the impact that muscle tension has on reducing space, increasing the perception of pain and wasting valuable energy. So by simple, effective use of the breath, visualisation & positions suitable for your own pelvis you can feel empowered to help normalise the labour & birthing process, in simple yet highly effective ways. I have given birth naturally to my second daughter on 18th Sept at mayday hospital. It was a much better process this time. It all happened very quickly. I managed to stay home and by the time I got to hospital I had no time for checks and baby was out within 45 mins after reaching hospital. Thank you so much for your support in bringing the courage back to birth safely. Please see attached recent photo of baby Jacqueline. She was born small but healthier than expected for pre eclampsia baby at 2.75kg full term. I think last minute yoga even helped. The course offers suitable and relevant yoga practices to promote a sense of well being during this important time and are an ideal way of practicing an energising, effective, subtle yoga practice, reaping benefits for both mother and unborn child. Conditions either associated with pregnancy or other on-going health issues are always taken into account so that the emphasis is on what’s best for the individual, rather than a “one size fits all” approach. 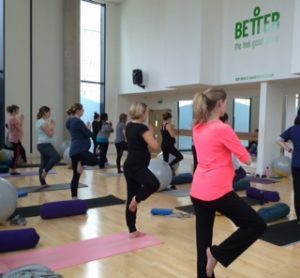 Along with yoga asanas, there is emphasis on using the breath well, both throughout pregnancy and with a view to applying some techniques to manage labour, as well as practicing movements, positions and visualisation. Although no-one can say for certain what kind of labour you and your baby will have, I can guarantee that you will learn key practices which will empower you both physically and mentally. These will give you confidence in your ability to birth your baby, whether this is your first labour experience or not. Over the years I have been privileged to have taught thousands of women and their babies and am thrilled to be in the position of supporting women in their second, and even third pregnancies. Course includes all materials and yoga equipment is provided. These courses are an ideal complement to NCT or parentcraft classes – they do not have the same content, particularly the labour techniques. Please note: Women can book for part of the course if their baby is due before the end of the course and pay accordingly. And if you want to ensure your labour supporter has some idea of how very useful they could be to you both come to Space & Breath birth rehearsal workshop. Bernadette is a member of FEDANT (Federation of Ante Natal Teachers) and Birthlight. “I was fortunate enough to meet Bernadette when I was expecting my daughter. Her knowledge, teaching methods and kindness helped me immensely during a pregnancy which could have been very stressful as I have already had three miscarriages. Her lessons are well structured yet very relaxed. They are a wonderful time ro learn about one’s strengths and how to make use of them”. These are offered at treatment rooms or as home visits.